How to get super big GMAN? then you take out tool gun and make it inflator. them press the windows key fourty times and then kick your computer monitor with METAl cleted shoes, not rubber. Only then shall he be uber large. For some reason, I made a Pyro there. And the Heavy had Ubercharge without the Medic. I bet that the Ubercharge is powered by RAAAAAAAAAAAAAAAAAAGGGGEEE. Go to minimap to behind the large building to the left of the pond. Spawn anything in or around the small buildings to see it very large in the main part of the map. ITT - Unfunny pictures, and bad graphics. 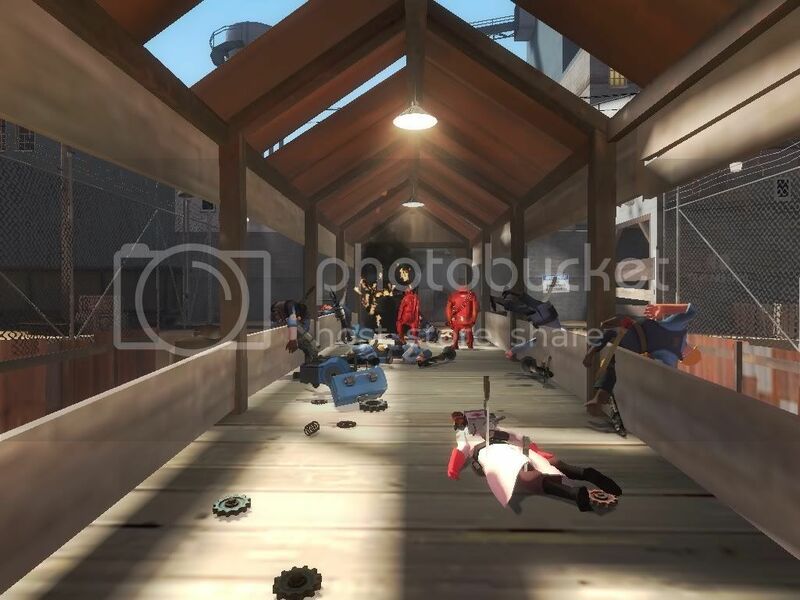 Which folder are my gmod screenshots located? The Screenshots folder located in the Garrys Mod folder. That cow is a spy! Nah, he's Red's moving cow. Looks like the Scout wants another Sandvich.